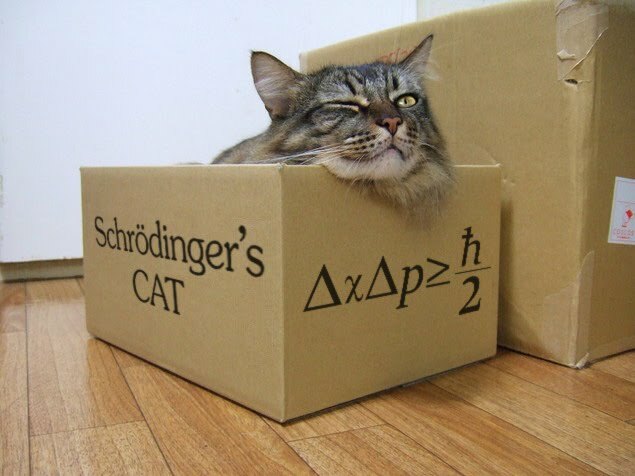 My next blog topic was scheduled to be a crash course in String Theory as it seemed like a logical follow-up to a previous post, A Crash Course in Relativity and Quantum Mechanics. However as I was trying to put together this crash course on String Theory, I realized that while my previous post did an excellent job of explaining the basics of relativity, it was far too brief on the basics of quantum mechanics (so much so that you should just regard it as a crash course on relativity). It could also be that I’m just procrastinating in writing a blog post on String Theory because, as you can probably assume, it’s not exactly the simplest of tasks. So in the name of procrastination I’ve decided to write a comprehensive overview on something much easier (in comparison): quantum mechanics. I not only want to explain it, but to also tell the dramatic story behind its development and how it has not only revolutionized all of physics, but made the modern world possible. While you may think of quantum mechanics as an abstract concept unrelated to your life, without it there would be no computers, smartphones, or any of the modern electronic devices the world has become so dependent on today. 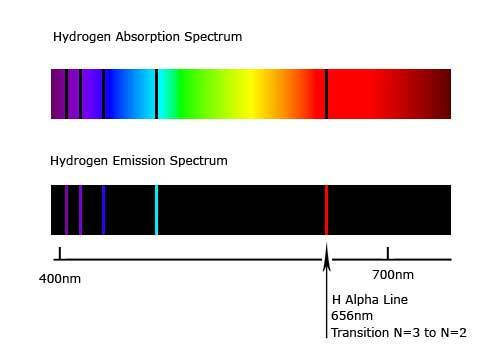 Before we begin, unless you’re already familiar with the electromagnetic spectrum, I recommend reading my post, Why We Are Tone Deaf to the Music of Light before reading this. While it’s not necessary, if you begin to feel lost while reading, it will make this post much easier to swallow. In 1900 the physicist Lord Kelvin (who is so famous there’s a unit of measurement for temperature named after him) stated, “There is nothing new to be discovered in physics now. All that remains is more and more precise measurement.” As history now tells he couldn’t have been any more wrong. But this sentiment was not one he shared alone; the physics community as a whole agreed. The incredible leaps we (the human race) made in science during the 19th century had us feeling pretty cocky in thinking we had Mother Nature pretty much figured out. There were a few little discrepancies, but they were sure to smooth out with just some ‘more precise measurement’. To paraphrase Richard Feynman (as I so often do), Mother Nature’s imagination is much greater than our own; she’s never going to let us relax. 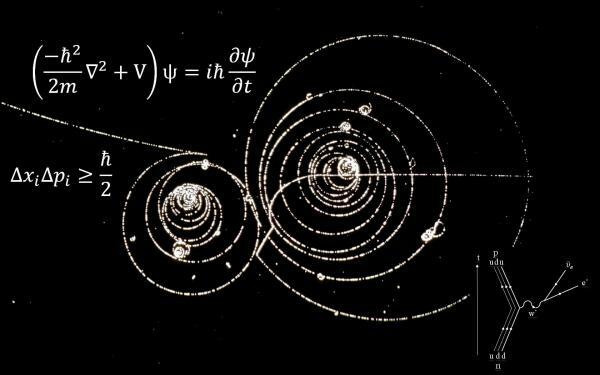 The shortest summary I can give of quantum mechanics is that all matter exhibits properties of a particle and a wave on a subatomic scale. To find out how we came to such a silly conclusion, let’s begin with one of the above referenced discrepancies which was later called the ultraviolet catastrophe. 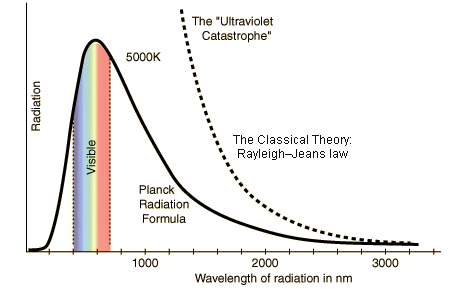 The UV catastrophe is associated with something called black body radiation. A black body is an ‘ideal’ body that has a constant temperature, or is in what is called thermal equilibrium and radiates light according to that body’s temperature. An example of a body in thermal equilibrium would be a pot of cold water mixed into a pot of hot water and after some time it settles down into a pot with room temperature water. On the atomic level, the emission of electron energy is matched by the absorption of electron energy. The hot, high energy water molecules emit energy to cold ones making the hot ones cool down and the cold ones warm up. This happens until all the molecules reach a consistent temperature throughout the body. Another easily relatable example of a black body is us, as in humans. We and all other warm-blooded mammals radiate light in the infrared spectrum; which is why we glow when we are viewed through an infrared camera. As you are aware, we cannot see the infrared light we emit with the naked eye because the frequency is too low for our eyes to detect. But what if we were to raise our body’s temperature to far higher than the 98.6 degrees F we’re familiar with? Won’t those emitted light waves eventually have a high enough frequency to become visible? The answer is yes, but unfortunately you’d kill yourself in the process. Let’s use a more sustainable example such as a kiln used for hardening clay pottery. If you were to peer through a small hole into the inside of the kiln, you’ll notice that when it’s not running it is completely black. Light waves are being emitted by the walls of the kiln but they are far too low in frequency for you to see them. As the kiln heats up you notice the walls are turning red. This is because they are now emitting light waves with a high enough frequency for your eyes to detect. 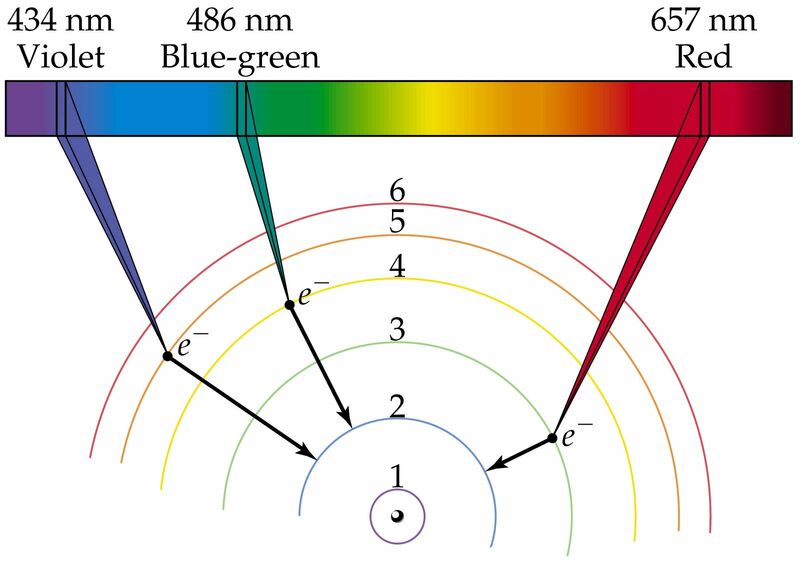 As the temperature continues to rise the colors emitted move up the color spectrum as the light wave frequency continues to increase: red, orange, yellow, white (a combination of red, orange, yellow, green and blue produces white), blue and maybe some purple. Now according to this logic of thinking, and classical physics of the time, if we were to continue to increase the temperature we should be able to push the emitted light from the visible spectrum into the ultraviolet spectrum and beyond. However this would also mean the total energy carried by the electromagnetic radiation inside the kiln would be infinite for any chosen temperature. So what happens in real life when you try to heat this hypothetical kiln to emit light waves beyond the visible spectrum? It stops emitting any light at all, visible or not. The infinitely increasing dotted represents what the accepted classical theory of the time said should happen in regards to black body radiation. The solid line represents experimental results. Reference these graphed lines from right to left since I refered to light waves increasing in frequency not length. 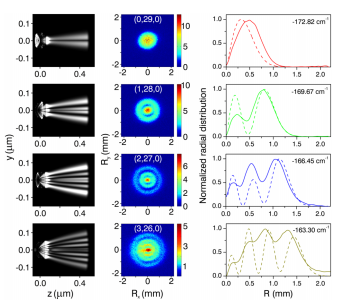 This was our first glimpse into the strange order of the subatomic world. The person who was able to solve this problem was a physicist by the name of Max Planck who had to ‘tweak’ the rules of classical wave mechanics in order to explain the phenomenon. What he said, put simply, is that the atoms which make up the black body, or in our case the kiln, oscillate to absorb and emit energy. Think of the atoms as tiny springs that stretch and contract to absorb and emit energy. The more energy they absorb (stretch) the more energy they emit (contract). The reason no light is emitted at high energies is that these atoms (springs) have a limit to the energy they can absorb (stretch) and consequently emit. Once that limit is reached they can no longer absorb or emit energies of higher frequencies. However what this implied is that energy cannot be any arbitrary value, as a wave would suggest, when it is absorbed and emitted; it must be absorbed and emitted in distinct whole number values (or in Latin quanta) for each color. Why whole number values? Because each absorption and emission (stretch and contraction) by an atom can only be counted in whole number values. There could be no such thing as a half or a quarter of an emission. It would sort of be like asking to push someone on swing a half or a quarter of the way but no farther. Planck was fervent in stating though that energy only became ‘quantized’, or came in chunks, when it was being absorbed and emitted but still acted like a wave otherwise. The notion of energy as a wave was long established experimentally and was something no one would question—unless you’re Einstein as we’ll see later. How did Planck come to this conclusion? Through exhausting trial and error calculating, he found that when the number 6.63 ×10−34 (that’s point 33 zeros then 663) was multiplied against the frequency of the wave, it could determine the individual amounts of energy that were absorbed and emitted by the black body on each oscillation. When calculated this way, it matched the experimental results beautifully. Whether he truly believed that energy came in quantifiable chunks, even temporary ones, is left to question. He was quoted as stating his magical number (later to become Planck’s constant) was nothing more than a ‘mathematical trick’. If you’re a little lost, that’s okay. The second discrepancy I’ll address will make sense of it all called the photoelectric effect. To summarize plainly, when light is casted upon many metals they emit electrons. The energy from the light is transferred to the electron until it becomes so energetic that it is ejected from the metal. At high rates, this is seen to the naked eye as sparks. According to the classical view of light as a wave, changing the amplitude (the brightness) should change the speed in which these electrons are ejected. Think of the light as a bat and the electron as a baseball on a tee. The harder you whack the metal with light the faster those electrons are going to speed away. However the experimental results done by Heinrich Hertz in 1887 showed nature didn’t actually work the way classical physics said it should. At higher frequencies (higher temperatures) of light, electrons were emitted at the same speed from the metal no matter how bright or how dim the light was. This would be like whacking the baseball off the tee and seeing it fly away at the same speed whether you took a full swing or gently tapped it. However as the intensity (brightness) of the light increased, so did the amount of electrons ejected. On the other hand, at lower frequencies, regardless of how intense the light was, no electrons were ejected. This would be like taking a full swing and not even dislodging the baseball from the tee. While it was expected that lower frequency light waves should take longer to eject electrons because they carry less energy, to not eject any electrons at all regardless of the intensity seemed to laugh in the face of well-established and experimentally proven light wave mechanics. Think of it this way, if you were to have a vertical cylindrical tube with an opening at the top end and a water spigot at the bottom end then placed a ping pong ball inside (representative of an electron lodged in metal), no matter how quickly or slowing the tube filled with water (low or high frequency light waves), eventually the ball will come shooting out of the top—obviously with varying velocities according to how fast the tube was filled. If energy is a continuous wave, or stream, ejecting electrons with light should follow the same principles. Finally in 1905 somebody, that somebody being Albert Einstein, was able to make sense of all this wackiness and consequently opened Pandora’s box on wackiness which would later be called quantum mechanics. In his ‘miracle year’ which included papers on special relativity and the size and proof of atoms (yes the existence of the atom was still debatable at the time), Einstein stated that quantization of light waves (dividing light into chunks) was not a mechanic of energy absorption and emission like Planck said in regards to black body radiation, but a characteristic of light, or energy, itself—and the photoelectric effect proved it! 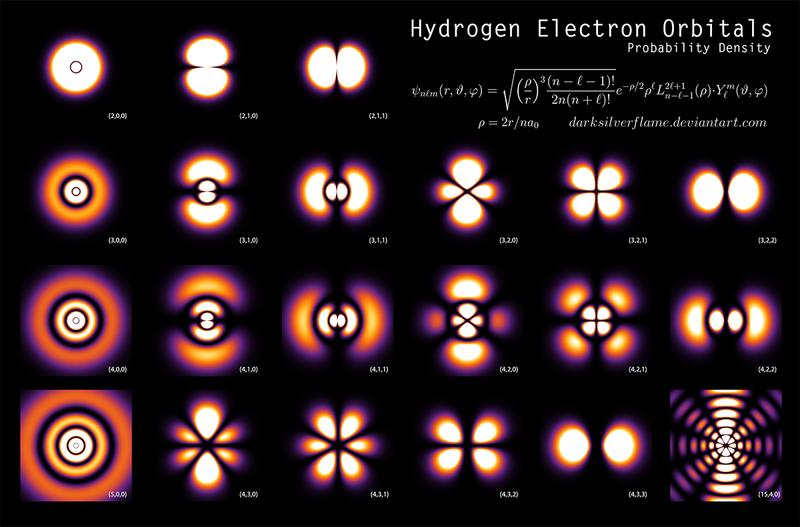 Einstein realized that Planck’s magical number (Planck’s constant) wasn’t just a ‘mathematical trick’ to solve the UV catastrophe, it in fact determined the energy capacity (the size) of these individual light quanta. 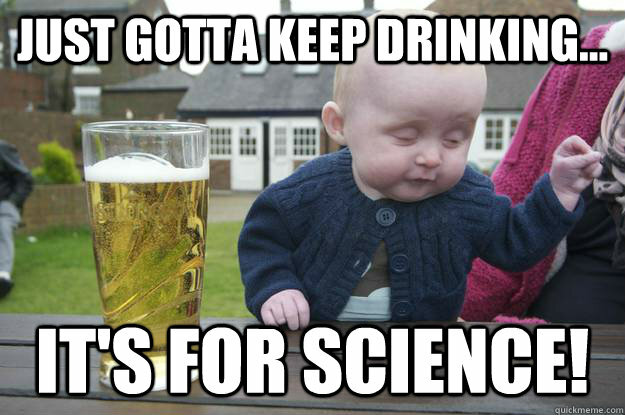 It was for this he’d later earn his only Nobel Prize. So how did Einstein conclude this? Well let’s imagine a ball in a ditch. This will represent our electron lodged in metal. We want to get this ball out of the ditch but the only way to do it is by throwing another ball at it. This other ball will represent a quantum of light (later known as a photon). In order to do this you must exert a certain amount of force (energy) to give the ball a high enough velocity to knock the ball in the ditch out. So you call upon your friend to help you who happens to be an MLB pitcher. He’ll represent our high frequency (high energy) light source. Let’s say he can ‘consistently’ throw the ball with 10 units of energy (the units are called electron volts calculated by Planck’s constant times the frequency) and it takes 2 units of this energy just to dislodge the ball from the pit. 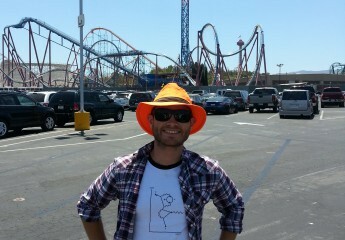 2 represents something called the work function in physics. Since it takes 2 units of energy to dislodge the ball, when the ball comes flying out of the ditch it will do so with 8 units of energy (10 – 2 = 8). This energy is called kinetic energy. Now let’s imagine there is ten balls in the pit so we clone our friend ten times (anything is possible in thought experiments). This is representative of turning up the light’s intensity. No matter how many balls are ejected from the pit they all leave with 8 units of energy. This is how we get a result of seeing an electron fly away from the metal at the same speed whether we smacked it or gently tapped it with high frequency light. Seeing your dilemma, your sweet grandmother also wants to help you dislodge balls from this pit. She’ll represent our low frequency light source. Unfortunately she can only throw with a force of 2 units of energy and while she may get the balls to roll a little bit, there isn’t enough kinetic energy left to dislodge them from the pit, no matter how many times we clone her (2 – 2 = 0). This is how we get the result of smacking the metal with a full swing of low frequency light and not see any electrons become ejected. At the time, Einstein was still nothing more than a struggling physicist working at a patent office and his paper on the photoelectric effect took a while to get traction. However in 1914 his solution was experimentally tested and it matched the results to a tee. Proof that light had properties of a particle was hard to swallow because it had been so definitively proven as a wave during the previous two hundred plus years or so (something we’ll discuss more in part two of this series). 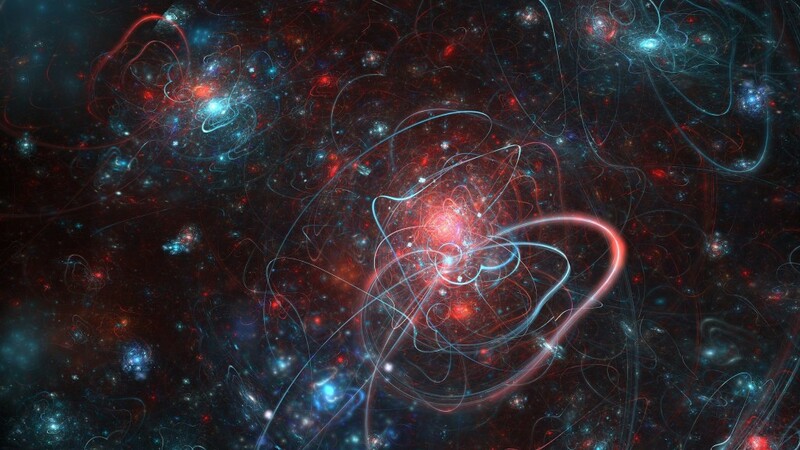 In fact many of the forefathers of quantum mechanics, including Einstein and Planck, would spend the rest of their careers trying to disprove what they started. Truthfully, compared to our perception of reality, quantum mechanics is outrageous, but it is an undeniable proven feature of our world. How we figured this out is something we’ll continue with in the next part of this series. Until then, stay curious my friends.